Despite the UN’s Intergovernmental Panel on Climate Change (IPCC) reaffirming in October that coal use must be heavily reduced to meet the aims of the Paris Agreement, many asset managers have increased their investment in coal while products labelled as fossil-free can be misleading. In this article, we look at how investors can play their part to make the planet great again. InfluenceMap, a UK non-profit organisation, recently reported that the world’s 15 largest investors (with a combined $40 trillion of assets under management) have grown their holdings of thermal coal reserves by 20% since the 2015 Paris Agreement with some more than doubling their exposure. To be consistent with the IPCC’s objectives, in December Storebrand announced an acceleration of our coal divestment strategy. We have excluded companies that derive over 25% of revenues from coal since 2013 and intend to reduce this threshold by 5% every second year to divest fully from coal by 2026. Our ambition is also to collaborate with other investors. We believe a gradual transition allows more investors to join the movement and sends a strong message and warning to the global coal industry. There are now few who question the urgency of reducing our carbon emissions and dependency on fossil fuels. In an increasingly short-termist world, pension savings represent a truly long-term project and it is essential that those who manage them consider the impact of climate change on future risk and returns. UNISON, the UK’s largest trade union, recently passed a motion calling on local government pension schemes to sell their holdings in traditional fossil fuel companies over the coming years, while the Department for Work and Pensions recently announced new rules requiring pension schemes to include ESG risks and climate change in the financially material factors that form part of their Statement of Investment Principles. Across Europe, an increasing number of institutions are taking action by committing to portfolio decarbonisation. Norges Bank has recommended that the large Norwegian sovereign wealth fund pull out from oil and gas companies. In France, meanwhile, the National Assembly has voted for institutional investors to disclose information on sustainability factors in their investment criteria and pension funds must consider exposure to climate risks and measure greenhouse gas emissions related to their underlying investments. Institutions globally have tried to come up with methods to reduce their exposure to emissions and position themselves for the low carbon transition. They have chosen to do this in different ways, given the lack of a ‘one size fits all’ solution and the difficulties involved in finding one. A common challenge is that the labels of products advertised as being sustainable can be misleading and it is important that investors look at the substance of low carbon portfolios, rather than their form. The InfluenceMap report names a number of exchange traded funds, which are marketed as fossil-free and constructed using MSCI indices, and still have exposure to thermal coal. Similarly, a “Climate Balanced Factor Index” counts ExxonMobil, Total and Royal Dutch Shell among its top ten holdings and has over 6.5% exposure to oil & gas companies which investors may consider to be at odds with a strategy seeking to reduce fossil fuels and carbon emmissions . Many of these large oil & gas companies have renewable energy divisions alongside their less environmentally friendly core businesses. ExxonMobil, for example, plans to pump 25% more oil and gas in 2025 than in 2017 while investment in fossil fuels generally dwarfs the current $300bn a year committed globally to renewable energy . The most common first step for institutions is to apply general ESG analysis, with the “E” capturing climate change-related information. The next step is to try to improve the carbon footprint of their portfolios through initiatives such as the Portfolio Decarbonization Coalition. AP4, the Swedish national pension fund, for example, identified the worst performing 150 companies in the S&P 500 index in terms of carbon intensity and divested its holdings in them. The remaining 350 stocks track the performance profile of the index closely but have 50% of its carbon footprint. Other investors exclude fossil fuel producers altogether. For a future compatible with the 2015 Paris Agreement, which saw more than 190 countries commit to reducing carbon emissions in order to keep temperature rises within 2C above pre-industrial levels, not all known fossil fuel reserves can be extracted and burned. This has led to the stranded assets hypothesis, as presented by organisations such as Carbon Tracker. If accurate, investors may well improve their returns by divesting from fossil fuel producers now and an increasing number have chosen to do so. A fourth commonly used method is to dedicate a proportion of an investment portfolio to impact or solution-oriented investments (e.g. energy efficiency and low-carbon transportation). These are the companies which stand to profit the most should the world implement the Paris Agreement faster than the market currently assumes. At the end of 2018 there were over $40 trillion of gobal pension assets and the idea of using this capital to help reach our goals for the environment is a very powerful concept. The key question remains – how does one best position an equity portfolio to most effectively tackle climate change; ESG-tilt, de-carbonise, divest, invest in solutions? We believe that all approaches have their pros and cons. ESG ratings capture a wide range of environment-related indicators and strong governance is critical for company trust. However, with such a broad array of different factors, climate-related information can play a relatively small role in the overall ESG score. De-carbonising goes to the core of the problem but suffers from a lack of life-cycle data, for example by assessing a solar panel and a car producer equally in terms of factory-related emissions, the lifecycle emissions of the car are ignored. Divestment is transparent and easy to implement but, by definition, binary and all non-excluded companies are treated equally, whether they are a railway or an airline company. Investments in renewable energy funds contribute towards funding the low carbon transition but are often high risk and expensive, making them suitable for a small part, at most, of an institutional portfolio. Storebrand’s objective is to design investment strategies compatible with the prevailing view on climate change and we use many complementary tools to achieve this goal. We combine all four strategies described above, with others, and this results in a portfolio that is more consistently positioned for the low energy transition than each strategy alone. In addition, it makes it possible to deliver low tracking error, low cost solutions, which should encourage pensions industry to align the bulk of its investments with the goal of the Paris Agreement, rather than a small, thematic, non-core investment. Our hope is that by adopting this approach, the investment industry can play its part in delivering the goals of the Paris Agreement and safeguard not only pensions, but also a world where we and future generations can enjoy retirement. 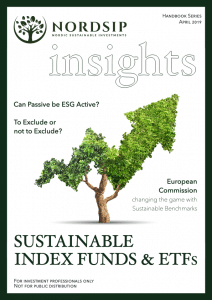 SPP Global Plus is an index-based fund (Sw: indexnära fond) which aims to deliver returns that are as close as possible to the MSCI World Index, while aligning with the low-energy transition. This strategy is optimised to select companies with a high sustainability rating, a low CO2 and those that are likely to deliver the solutions to the future climate challenges. 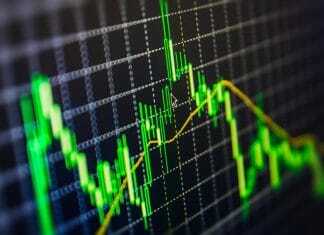 The fund’s positions may differ from those in the underlying index, while delivering a performance that is highly correlated to the MSCI World Index. The fund has achieved a historical tracking error of 1.25 percent (ex post, 24-months). The model used by SPP Global Plus is also a cost-effective way of obtaining a climate-adjusted exposure to global equities. The relative performance drag compared to the index, since inception (April 2016), is only 23 basis points per annum, and the fund achieved an absolute net annualised return of 14.8% after fees(3).